Please have floral arrangements delivered to church by 9:30 AM Friday, July 13, 2018. Please scroll down for visitation, service and memorial contribution details as well as a link to online directions to the Church. (nee Kachel) Born to Eternal Life July 10, 2018, age 85 years. 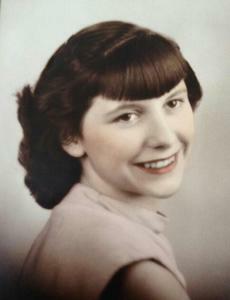 Preceded in death by her husband Norman, infant son Mark, son Noel "Lucky", and daughter-in-law Darlene. Mother of James (Linda), Claudette (Donald) Evans, Margie, Donald (Jennifer), and Benjamin (Nicole) Cofta. Grandmother of Thomas (Angie) Cofta; Kelsey and Hayley Evans; Tallis, Kamber, and Siree Cofta; and Drake, Colt and Ashlynn Cofta. Great-grandmother of Aiyana, Nataun, and Jayden. Further survived by daughter-in-law Sheila Bowler and many dear friends. Special thanks to the Staff at The Milwaukee Catholic Home for their kind and compassionate care. Visitation at Three Holy Women Parish - Holy Rosary Church, 2011 N. Oakland Ave. on Fri. July 13, 2018 from 10:30 AM until the time of the Funeral Mass at 12:00 Noon. Private interment Southern Wisconsin Veterans Memorial Cemetery, Union Grove, WI. In lieu of flowers, memorials to Three Holy Women Parish Legacy Fund , appreciated.